We received several questions about security during this afternoon’s monthly live chat with the St. Louis Post-Dispatch. To help answer the questions you may have about public safety and Metro security operations, we’ve highlighted some of the Q&A from today’s chat below. Q: Is there any way we can alert security in real-time in an inconspicuous way? A: We have explored the possibility of a text feature and have discussed this with local police, but that’s very difficult to implement technologically and respond to in real-time. In addition to calling our Security Dispatch at 314-289-6873, you may also alert security personnel on the bus or train, at any of our MetroLink station platforms or reach out to an operator directly via the “Call Operator” push button located inside each train car. Q: Does the Metro On The Go app enable riders to post messages about immediate security issues? 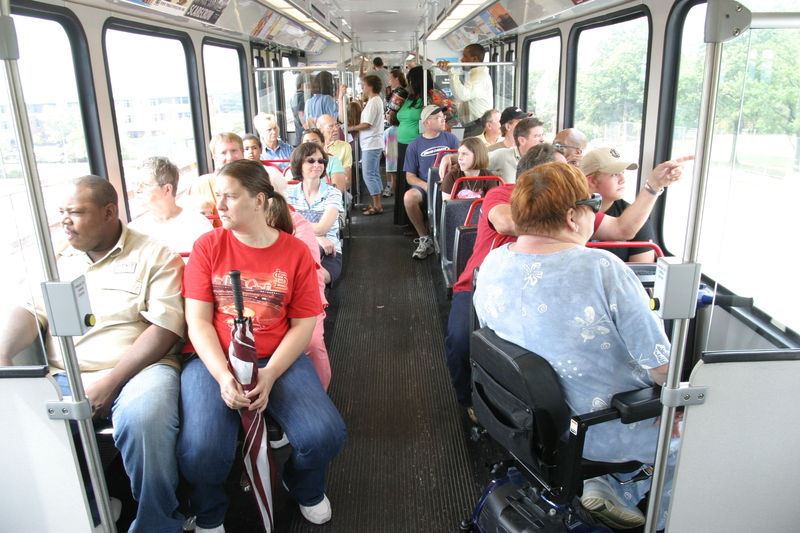 A: Metro on the Go does not have that capability. We’re currently testing another program internally. The greatest barrier is being able to provide the resources necessary to receive and respond to customer contacts in real-time. We’re currently working with our own Public Safety Department; our contract security force; and the local jurisdictions we contract with for police services, including the City of St. Louis Police, St. Louis County Police and St. Clair County Sheriff’s Department. We agree that creating a direct link between Metro customers and Public Safety is critical. Q: Why not engage in a poster campaign that gently reminds passengers to move themselves and their belongings over so that other passengers can ease into seats? A: A few years ago, Metro operated a “Respect Your Ride” campaign, which included signage across the system reminding customers to avoid nuisance behaviors that may offend fellow customers and damage Metro property. We’re discussing a re-launch of some version of this campaign, perhaps with enhanced communication opportunities and including greater promotion of the Security Dispatch phone number. Q: Are cameras on MetroLink and MetroBus live? A: The cameras aboard MetroLink and MetroBus vehicles do not provide a live video feed to Metro’s Public Safety Control Center. These feeds are recorded and retrieved at a later time. At peak, Metro has over 300 vehicles in operation, which produces a tremendous volume of data. Metro does have fixed and panning cameras at its MetroLink stations and Transit Centers which do feed live directly to the Public Safety Control Center. Metro does track safety and security incidents reported by our Public Safety Department and local police entities, as well as customer contacts received by our Customer Service Department. We analyze this information for content, and occurrence in space and time. We currently work with our Public Safety team to use this information to drive targeted patrols across the transit system. Q:Is anything in place to help prevent the re-sale of transfers and tickets to riders? A: The new card system we’ll be putting in place will eliminate the paper transfer altogether. The smart cards will have value beyond the same day to the users who are discarding the paper transfers that are then being resold. Q: When are we going to visibly see an improvement in safety on the train? A: Everyone is aware of the general increase in criminal issues happening across the metropolitan area. Public transit is not immune. Actual crime on the MetroLink system is still well below the average of the area we serve. However, we remain committed to protecting our customers and staff. 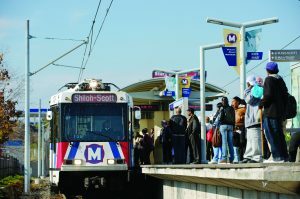 Metro contracts with the City of St. Louis, St. Louis County and St. Clair County officers, security guards and fare inspectors, as well as employs a staff of public safety officers. More than 200 people are assigned to protect our system. Our partnership with law enforcement results in a very high incident of arrests for people committing crimes on our system. Through the use of video surveillance and the fast actions of our guards and operators, we work to make sure that crime doesn’t pay when committed on our system. In addition to the work we already do to keep customers safe, we’re working with law enforcement to increase their patrols of our system. As a result, there are more patrols this week than last, and there will be more next week as well. Q: What are you guys doing about security at MetroLink stations, particularly at the Forest Park-DeBaliviere MetroLink Station? 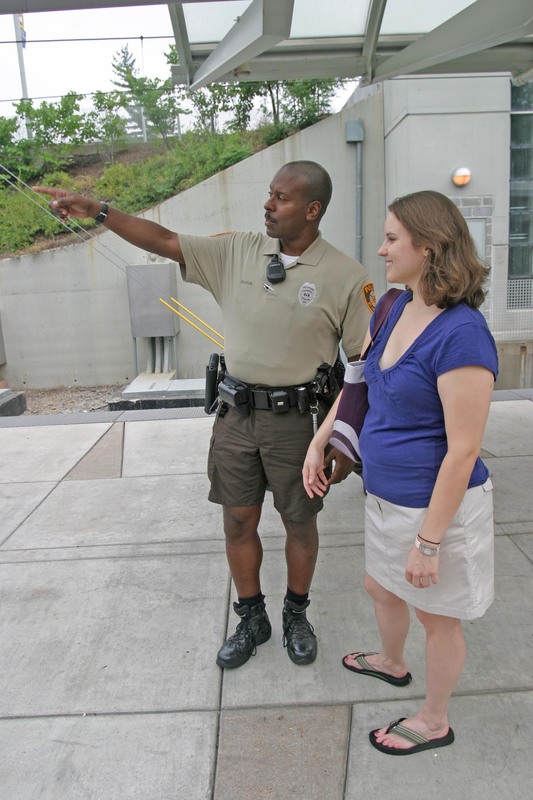 A: Metro patrols the Forest Park-DeBaliviere MetroLink Station, including the platform and surface access to the platform. We rely on the City of St. Louis police force to make arrests on and off the Metro transit system. We also work with the local community, including the police and the alderman, to improve public safety at the Forest Park-DeBaliviere MetroLink Station. We’re currently working with our public safety partners to increase patrols, including at the Forest Park DeBaliviere MetroLink Station. Q: Why not have full-time security at every MetroLink stop? A: There simply isn’t enough resources available. What we believe we can do better is to increase the visibility of the Uniformed Police on the system and use our data and focus these efforts on areas and at times when incidents are more likely to occur. Remember, if you see anything suspicious on our system, “See Something. Say Something.” and call 314-289-6873 to report illegal, dangerous or nuisance behavior on the transit system. Do you really think it wise to post wether the camera have a live feed? 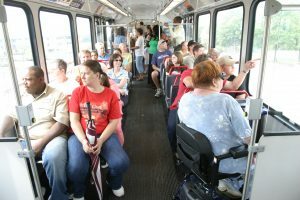 We feel it’s important that our passengers have a clear understanding of our public safety operations and have all of the information they need to keep themselves safe while riding on Metro transit. The cameras onboard our trains and buses are just one part of our overall system. 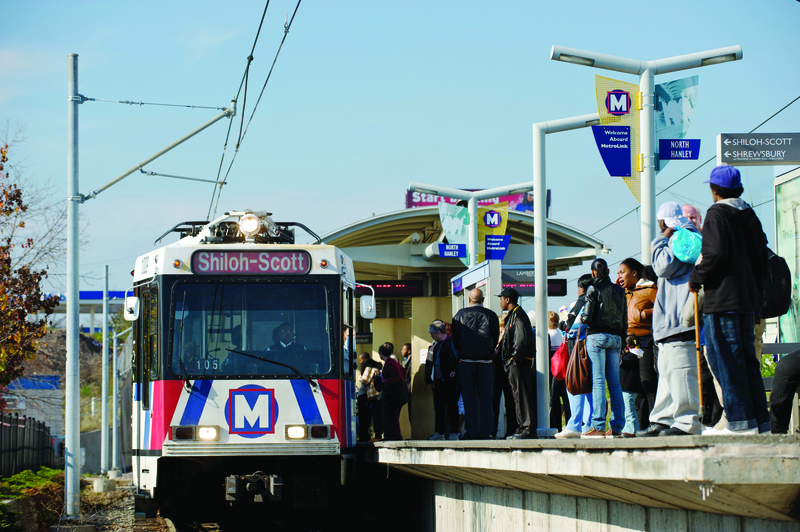 Your response to the query regarding the Forest Park Metrolink station is grossly inadequate. The safety situation there is unique enough to merit a separate question and thus deserves more than a generic response. Metro has ignored the crime associated with the 90 bus route for too long. The families living within a few minute walk from the stop should feel safe in their own neighborhoods. We’ve sent this to our security department for review. Thank you. I use Metro almost every day. While there are many things that Metro does exceptionally well, I, too, believe that the Forest Park Metrolink station, which I use about 8 times per week, is not being properly patrolled. In addition to felony-level activity, misdemeanor conduct is PAR FOR THE COURSE. Every time I use that station, there are people smoking on the platform. Often, a security guard is within 50 feet of the illicit smoker. People have complained about this FOR YEARS. When I used the Forest Park station this morning, I saw 2 people smoking 25 feet from the “guard.” It’s time to FIX THIS! Gabe, thank you for bringing this to our attention. I’ll make sure your feedback is sent directly to Metro Public Safety for review. As always, we encourage you to call Metro Public Safety anytime you see something suspicious at 314-289-6873. In the last few months, Metro has been vigorous about stepping up their response to criminal action on the system, including investing additional money and personnel, most in response to customer concerns just like yours. Again, I will forward your comments to our public safety department so that they can more accurately calibrate their patrols for maximum effect. Thank you for your very swift reply. To be honest, though, I’ve been given that response numerous times. At this point, I think it’s imperative that security guards, at the very least, and, perhaps, all uniformed Metro personnel, be firmly reminded of the nature of their assigned tasks. At minimum, guards should apprise offenders that they are behaving badly. If they are scared to do this, they can always call for backup. EVERY time I ride Metrolink, I witness illicit activity (at least smoking and littering) within easy eye range of uniformed guards. If necessary, assign extra security to the Forest Park station. Simply stating that something is being/will be done is, frankly, absolutely inadequate. Gabe, thank you for your continuous feedback. We’ll make sure this if forwarded to the appropriate people as well. Our partnership with law enforcement results in a very high incident of arrests for people committing crimes on our system. Through the use of video surveillance and the fast actions of our guards and operators, we work to make sure that crime doesn’t pay when committed on our system. In addition to the work we already do to keep customers safe, we’re working with law enforcement to increase their patrols of our system. While more officers is always ideal, there simply isn’t enough resources available. What we believe we can do better is to increase the visibility of the Uniformed Police on the system and use our data and focus these efforts on areas and at times when incidents are more likely to occur. Thank you Gabe for your insight. And thank you for your responses; however, the question remains: Will anything substantive actually be done about the aforementioned issues?